Full of refreshing wit and self-deprecating humour Claire Eastham's mental health blog We're All Mad Here has attracted thousands of subscribers. 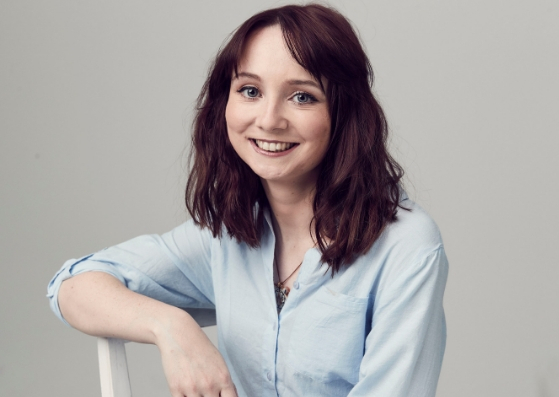 Drawing on her own experiences of social anxiety and panic attacks, Claire is known for her relatable and honest approach, bridging the gap between health professionals and those living with a mental health disorder. Read on as Claire tells us about the challenges she overcame to recover from a nervous breakdown, her experiences of therapy, and how to reach out for help. I do a lot of keynote speeches at conferences and events about the importance of mental health, particularly in the workplace. My blog is still in full swing and will always be my heart. And, of course, I'm currently working on my second book. Family (both human and canine), having the opportunity to help others via my writing, and really good red wine! The biggest challenge for me was during my recovery, I finally had to accept that I was ill, and that was ok. For someone from a working-class 'no emotional nonsense' background, that was a hard thing to do. Yet, the moment I accepted my condition was when my recovery started. I've never looked back. How has therapy benefited you? What did you learn? Exposure therapy helped me to understand not only what panic attacks are on a scientific level, but also how to deal with one when they strike. I still credit Dr David Carbonell, the leading expert on panic attacks, with changing my life. I also benefitted greatly from Eye Movement Desensitisation and Reprocessing (EMDR) therapy, which helped me to 'dig deep' and finally exorcise some painful memories that'd been crippling me emotionally for decades. Being such a history nerd, I'm currently reading 'Victorian's Undone' by Katheryn Hughes. I'm watching 'The Bold Type,' which is a guilty pleasure and such a fantastic account of millennial women. I'm also listening to Maisie Peter's new EP, 'Dressed Too Nice For A Jacket.' She's too cool for me, but a girl can pretend! No matter how sh** and bleak things seem at the moment, I promise that things will get better. You're learning more each day and becoming stronger in spite of your condition. You have no idea how incredible you are. What is your suggestion for someone struggling with their mental health? Step 1: Go and see your GP. Make a list in advance of all your symptoms (both physical and emotional). Talking to a doctor about something so personal can be a distressing experience, so having a list is a good way to keep yourself on track. Take notes during the appointment and ask as many questions as you like regarding treatment options. Step 2: Tell someone what you're going through. Silence is the enemy of mental illness - you have nothing to be ashamed of. If you're not initially comfortable talking to family/friends, then the Samaritans are a good place to start and are open 24/7. Step 3: Research treatment options based on your condition. For example, medication, therapy, cardio exercise, diet and nutrition, meditation. There is all whole range of positive things to choose from.